The Pokémon series has dominated the market ever since the first show was released in the 1990s. The adorable battling monsters are loved by kids and adults because of their cute appearance and great abilities. When it comes to playing with Pokémon, you can choose the type of entertainment you prefer – from Nintendo’s videogame, through TV series, movies, playing cards, action figures, and the Pokémon Go that swept the world when it appeared. The cute characters can be found in the form of collectible figurines or squishy toys. There is actually a great variety of Pokémon Toys on the market to meet the preferences of all their fans. 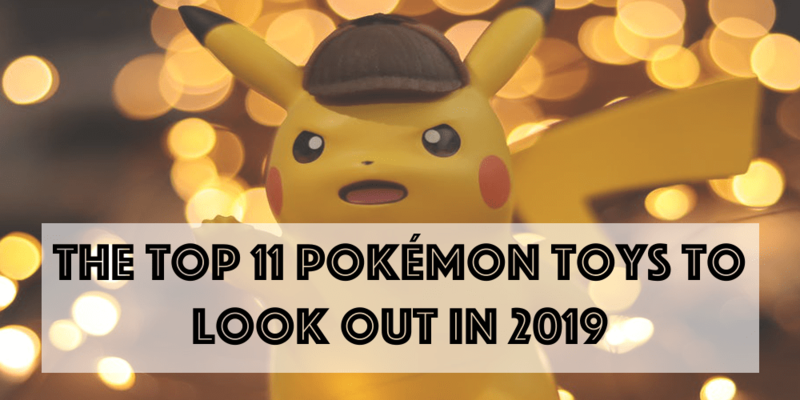 Below, you can find 11 of the most popular Pokémon toys that you need to get in 2019 if you are really fond of these characters. This set is a great gift for any kid aged 6 and above and is also a good idea for people who collect Pokémon stuff. The box was first released in May 2017 and ever since it has been one of the preferred toys for kids and their parents. It is suitable for both experienced fans of Pokémon and newbies who are not familiar with the story as the pack comes with a player’s guide, where you can find anything you need to know in order to enjoy the game. 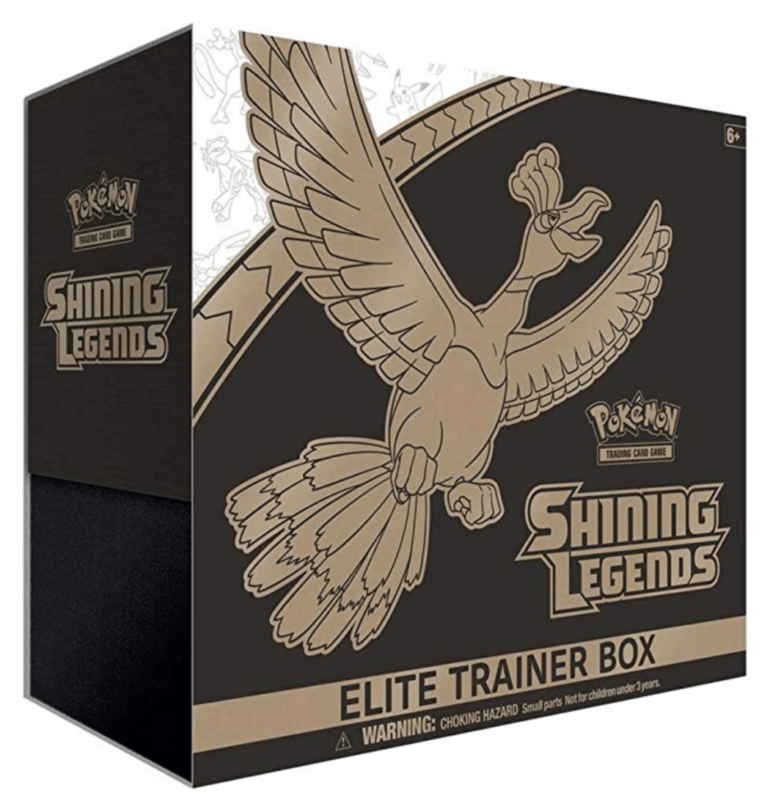 In order to keep your Shining Legends card as good as new for a longer period, the box also includes 65 card sleeves with ho-oh. There is also one coin-flip die but no coin is included – do not look for one. Everything comes in a collector box, which is a plus and the only drawback is that rare cards may not be included in the set. Japanese toymaker Megahouse offers a series of PVC figurines of the main Pokémon anime cast. The figurines combine humans and monsters to give you better play time. 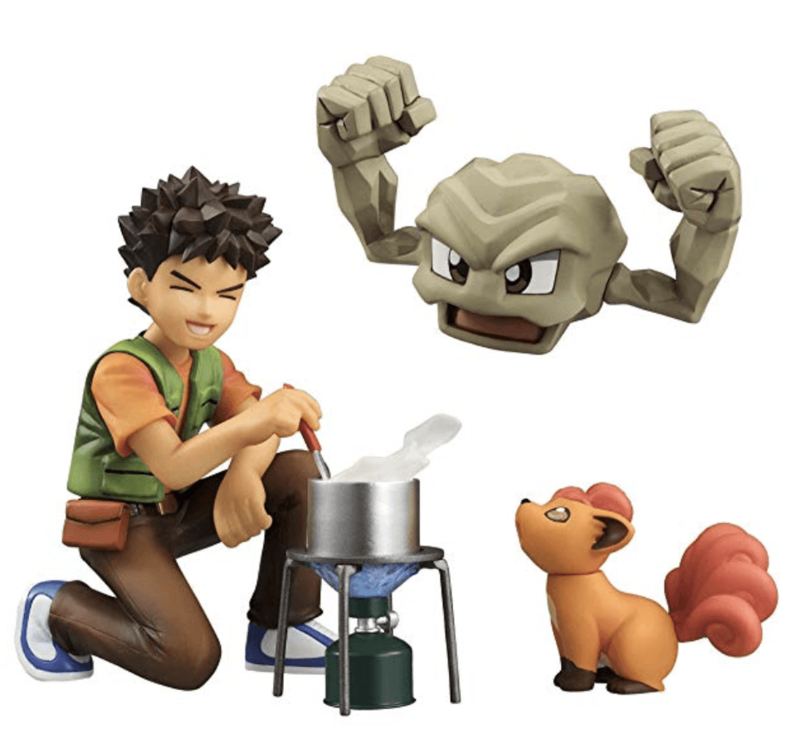 One of the best-selling combinations is that of Brock, his rocky companion Geodude, and the foxlike creature Vulpix who are cooking together. It is a great trio to show case on your Pokémon toy shelf. Note that the figurines do not move, only Vulpix can turn its head. 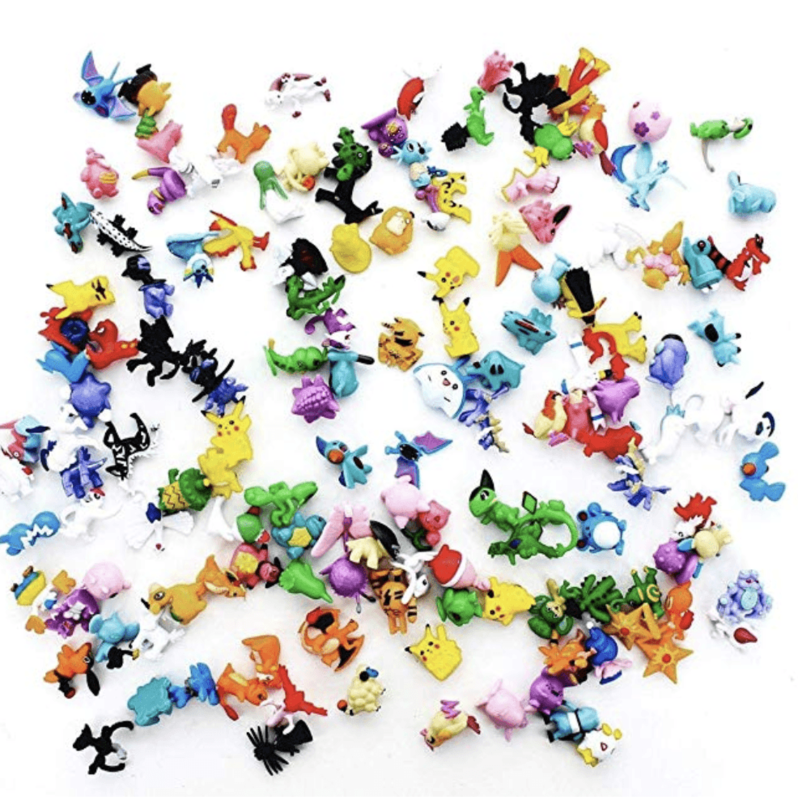 Instead of buying Pokémon figurines one by one, you can significantly enrich your collection by purchasing this set of 144 Pokémon figures. The best advantage of this toy set is that you get a great variety of characters for quite a reasonable price. Your kind can have an army of creatures to play with. You can present them all in one go or keep surprising the kids every week with new 20 figurines. Note that the assortment is random so you may not get all of your favorite characters in one pack. The drawback is that the figurines are quite small – between 1.5 to 2.5 cm or ¾ of an inch, which makes them a choking hazard for smaller kids. They are not top-notch quality as well but good enough for the price you pay. Mega Construx offers kids the opportunity to build their favorite Pokémon character using their unique bricks. 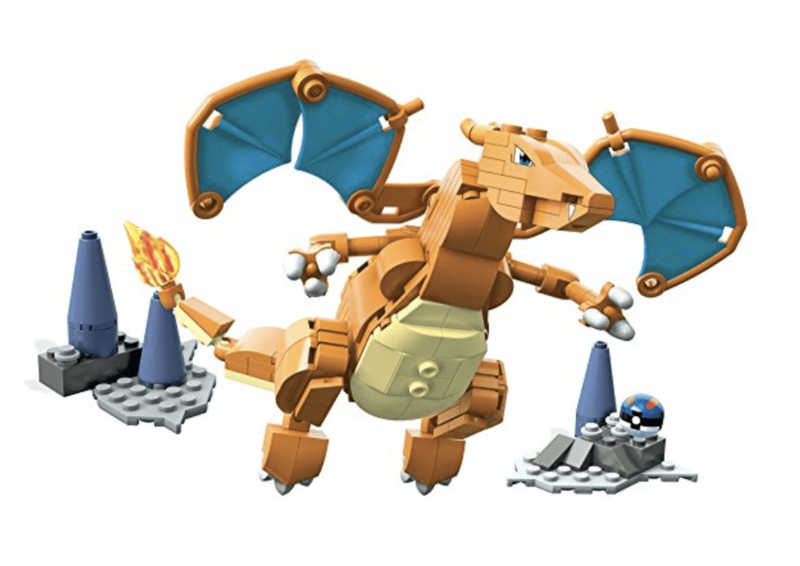 One of the sets that you can choose for a present is the Mega Construx Pokémon Charizard Building Set. Once built, the figure is about 4.5 inches tall and you can move its arms, legs. Head, and tail. 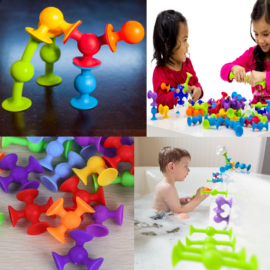 It is a great present that will boost your child engineering skills. The set comes with a buildable environment that can also be used as a display stand. You can help your kid make a significant collection, by getting some of the other Mega Construx sets as well. 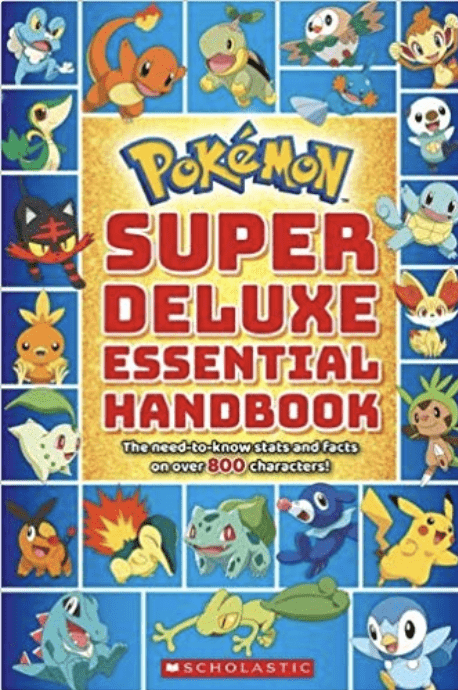 No matter if you are an experienced fan of Pokémon or this is your first encounter with the charming characters, this deluxe handbook is one of the best ways to learn more about them. The book contains interesting facts about more than 800 Pokémon, including how to pronounce their name along with their features and skills. It is suitable for kids aged 7 to 10 and the information is presented in an easy to read format over 496 pages. Pikachu is one of the most iconic cartoon characters that we have come across and not only from the Pokémon family. The exclusive Vinyl figure of the yellow mouse is produced by Funko Pop and is a great addition to anyone’s collection. As the demand is quite big, make sure to order your toy now if you want to decorate your toy shelf with it. 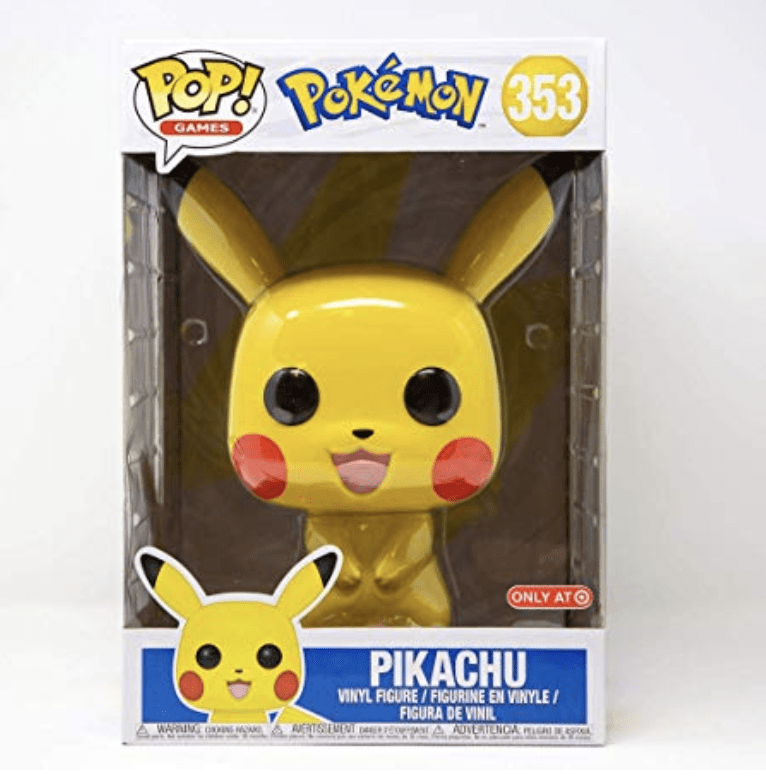 The cute figurine presents Pikachu standing upright with its pointy ears and contagious smile. Note, that the toy poses a choking hazard and is, therefore, not suitable for kids under 36 months. Cubone is one of the cutest Generation 1 Pokémon and extremely suitable to be presented as a plush toy. The toy depicts Cubone, the skull-helmeted lizard, with a legbone in his hand ready to go to sleep. The toy is actually not that small and measures 2.8 x 6.5 x 3 inches. 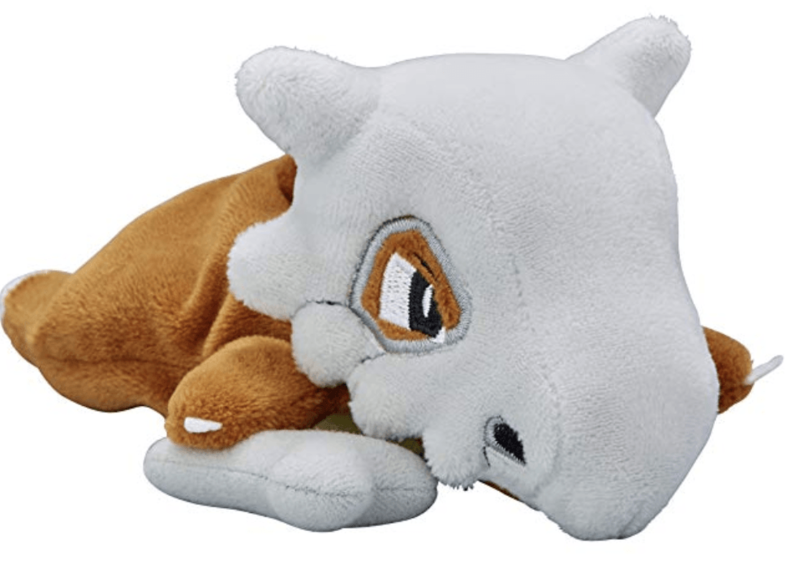 it may serve as a cuddle buddy for your kid or can encourage them to go to sleep following Cubone’s example. Most kids would love to become a Pokémon trainer and will appreciate the TOMY Pokémon Pokedex Trainer Kit as a present with or without special reason. The kit contains the essential accessories to make look like Ash, himself. That feature’s Ash’s glove, 15 Pokedex ID tags to get you started, and a Pokedex. To make your play even more interesting a Pokeball and a PVC Pikachu toy are also included. Now, your kid only needs the determination to become the best Pokémon trainer, at least in your own house. Being a Pokémon fan and collector may be a pricy undertaking. You can teach your kid the useful habit of saving by introducing a coin bank with their favorite characters. Pikachu is one of the most beloved Pokémon characters and is here to help you save for more of his figurines. 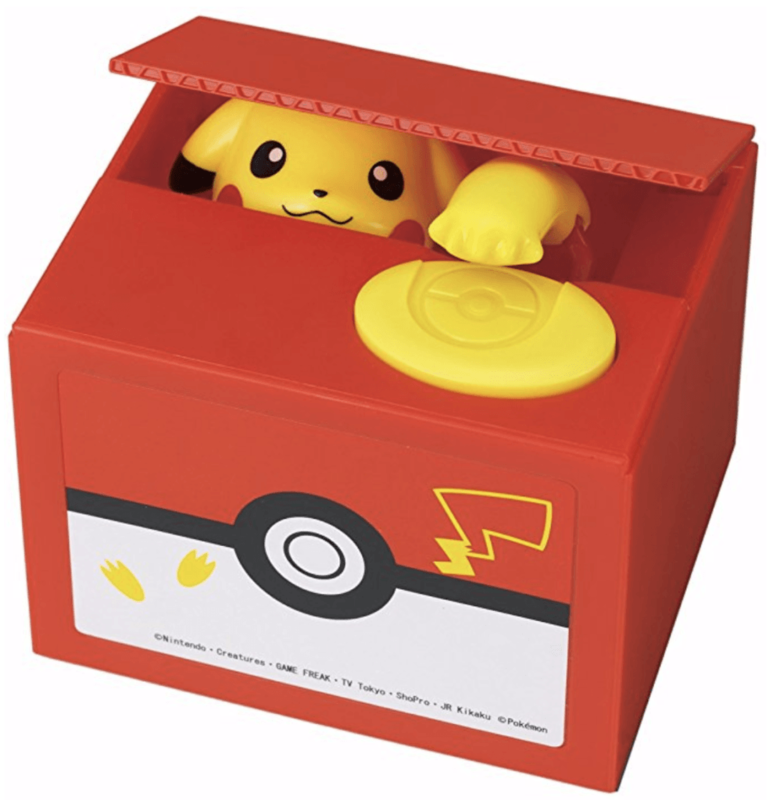 The red coin bank features a hiding Pikachu who comes out to pick the coin once you place it on the designated yellow space. The yellow mouse pops up and snatches the coin to put it down in the coin bank. 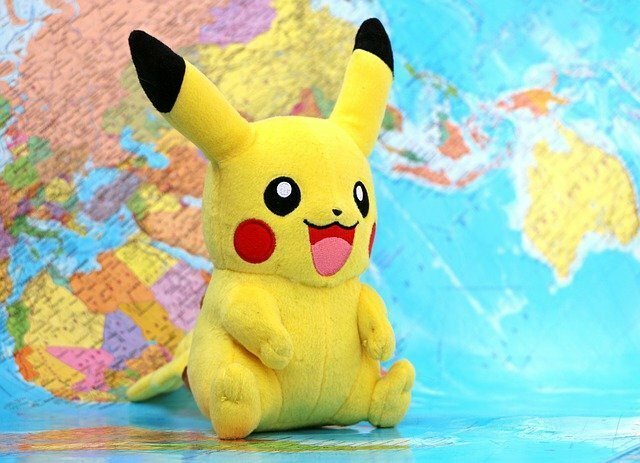 One of the most interesting features of the coin bank is that Pikachu makes one of 200 different phrases and sounds every time it collects your coin. Monopoly is a board game with traditions that is present in almost any home. It has numerous variations and USAopoly decided to make a Pokémon version as well. It is a true collectible treasure for any fan. 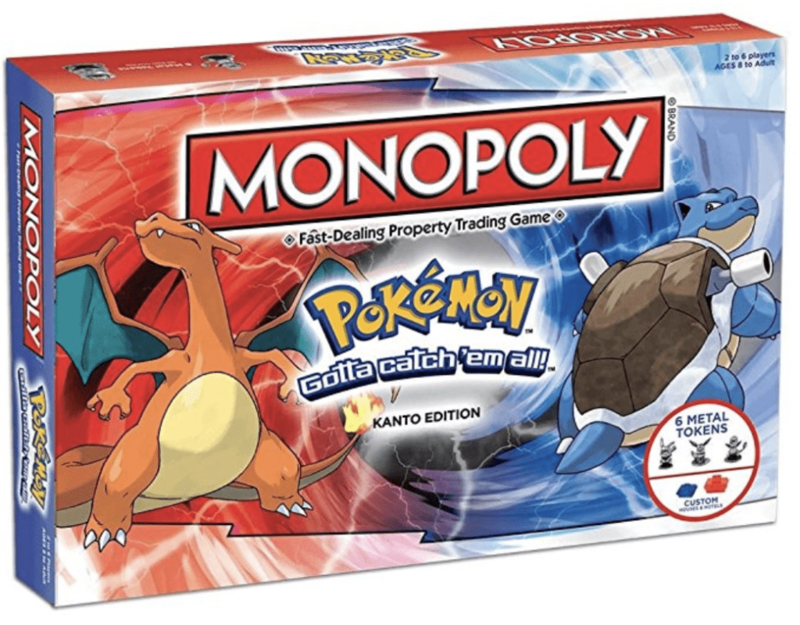 The Pokémon Monopoly is much more colorful than the original version of the board game and all traditional elements are replaced by characters or venues from the show. You will play with 6 metal tokens representing some of the most popular Pokémon characters – Pikachu, Bulbasaur, Charmander, Squirtle, Eevee, and Jigglypuff. The entire playing board is Pokémon-themed and traditional houses and hotels are replaced by Poke Marts and Pokémon Centers. Boardwalk and Park Place spots are substituted by Nidoking and Nidoqueen while the Railroad is a different Pokeball with all four types (Master, Ultra, original, and Great) included. 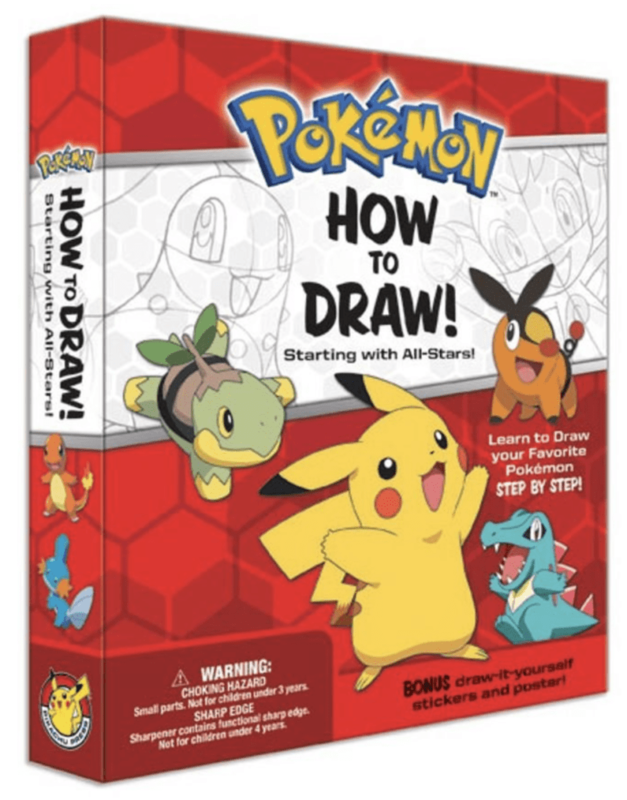 Buying your kid the How to Draw Pokémon Kit means that you are making a 2 in 1 gift. If your kid loves to draw and has a passion for Pokémon characters, this is the perfect way to combine them all. The kit contains all you need to enjoy the activity. Your kid will learn how to draw more than 155 classic characters by using the special Pokémon-wrapped pencil, 4 twist crayons, 2 custom Pokémon erasers, sharpener. There is also a travel pencil pouch that can hold all of these items while you are on the go. The set includes a 32-page project book, a 16-page practice pad, 4 color posters, and blank sticker sheets. This Pikachu Press edition is suitable for kids aged 3 and above and will guarantee many hours of fun. While not a collectible item, it is a great present for Pokémon lovers. Pokémon Figures Building Blocks – your kid can use the mini blocks to build their favorite Pokémon character and collect them all. 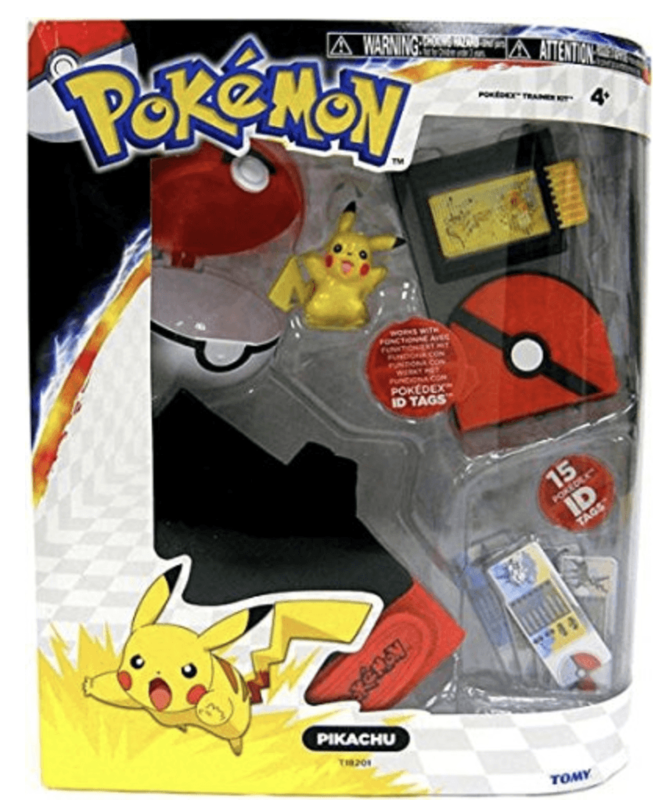 There is a selection of 12 characters, including Pikachu, Mewtwo, Gengar, Bulbasaur, and others. 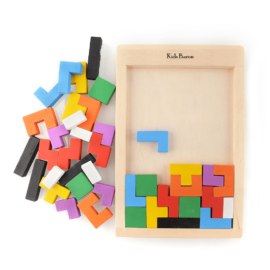 The blocks are made of high-quality materials and come in great colors. Pokémon Cuddly Toys are a selection of 15 characters that your kid can play with. You can order them all and made a unique collection of Pokémon cuddly toys. They are made of high-quality plush and are super soft. The size varies between 4.5 and 7 inches. 24 Random Pokémon Figures – by ordering this set you can surprise your kid with a great selection of figurines that fit the real-life Pokeballs. The toys are 3 inches in size. The more figurines you have, the more fun it is – you can collect them all or exchange them with friends. Random Pokeball with Random Pokémon is a surprise gift. The real-life Pokeballs are 3 inches in diameter and come in 13 different styles. Each ball contains a random Pokémon figure. You can surprise your kid with a gift and bet which character will be inside the ball before you open it. Pokémon Go Power Bank is a solar power bank that can charge two phones or tablets at the same time. It fits iPhone, Samsung and all other types of phones and can charge them two or three times before it needs recharging. As long as there is sun, you know that the power bank will work and let you enjoy your Pokémon hunt. 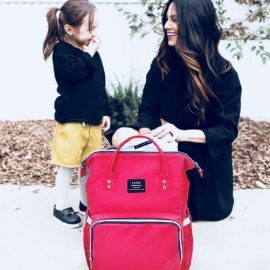 The device is waterproof, dustproof, and drop resistant. It comes with LED light and a felt bag for safe storage. It has an integrated quick charge function so that you do not have to wait much to use your device. The Pokémon craze began more than 20 years ago and is here to stay. No matter if you or your kid is a true collector or you simply love those cute characters, the toys above will guarantee lots of fun while playing with them. Simply choose those that fit your preferences and enter the colorful world of Pokémon.